​Last week was the 14th annual Onrec Awards, a night that celebrates recruiters, suppliers and companies who operate within the world of Online Recruitment. The night was held at their usual venue, The Grange Hotel – St Pauls, and as expected was filled with plenty of fizz and networking. Searchability (along with our employer brand agency JobHoller and Graduate hub Gradability) had a total of 9 nominations for the night, and we are happy to say that we did not come home empty handed! 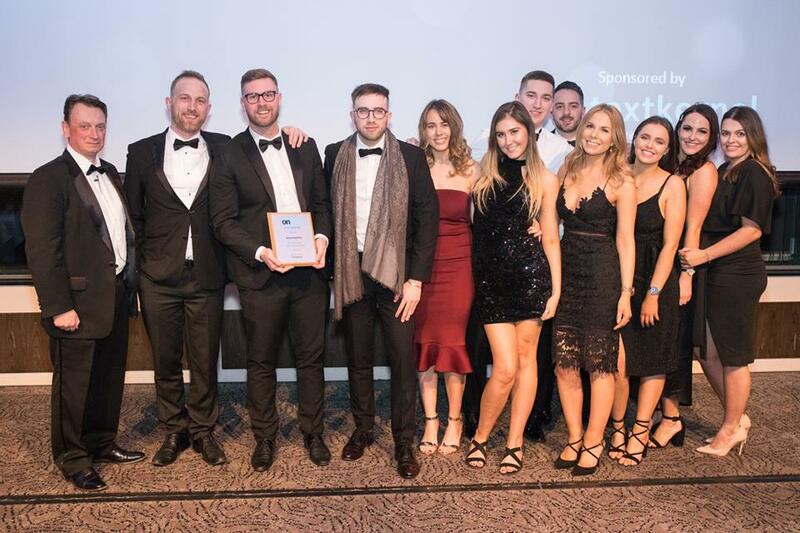 This year we won the prestigious title of “The Technical Innovation Award”, which was a testament to the team’s hard work in bringing a brand-new platform to market – our inbound recruitment marketing product HubHoller.com. HubHoller was launched at the end of 2018 to give Searchability clients an added boost with their recruitment needs. As well as Searchability actively working on a vacancy for them, the brand new HubHoller proposition would give them access to a unique inbound recruitment marketing campaign and technology that would help boost employer brand awareness and manage the candidate experience in house. In terms of the “technical innovation” aspect of HubHoller, the technology we use was all custom built by ourselves. This technology allows clients to create mobile optimised careers pages, post jobs that optimise to Google jobs, share content and blogs, promote employee advocacy, schedule social posts, manage applications and even enhance the candidate experience. Click here to learn more about how HubHoller works. One of the reasons our clients love HubHoller so much is that it gives them the chance of securing a direct candidate who could apply off the back of a job advert or social campaign, with the added security of knowing that Searchability are also actively sourcing great candidates for them too. Plus if Searchability go on to place a candidate then the cost of the marketing campaign comes off the end recruitment fee – so it’s win-win! We brought our latest Onrec Award home to add to our collection of recruitment awards (this is actually our 12th industry award as a company!). Thank you to all of the judges who voted for us!